Fast and convenient without sacrificing flavor. 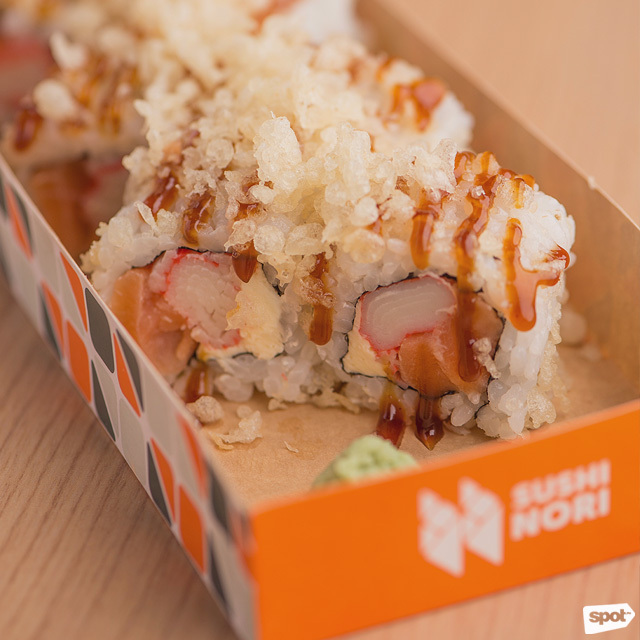 (SPOT.ph) For Milka Romero, owner of Sushi Nori, the goal is simple: “We want to offer sushi that’s quick and affordable, but the quality is still there.” Because of its “to-go” nature, Sushi Nori started as a food stall in various malls in the Metro—until the opening of their fifth sushi shop at W City Center, their biggest branch yet. “I’m still not going to do a full-scale restaurant,” says Milka. 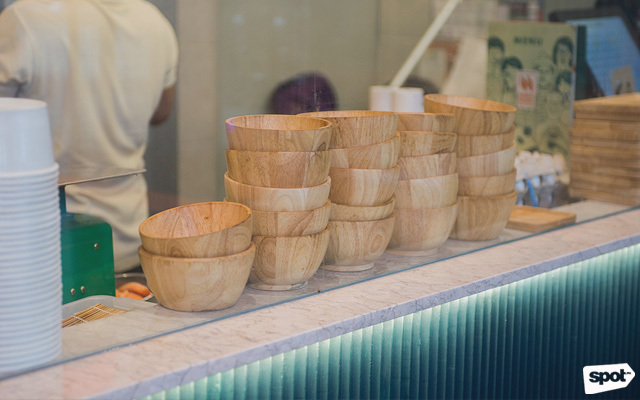 “This [W City Center] branch is the biggest already, and yet we still have people say that the place is small. 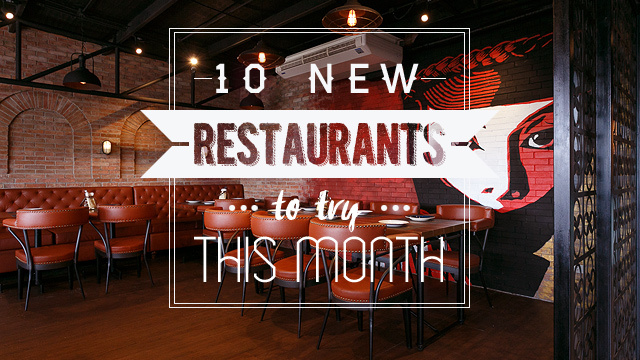 But we don’t want them to think it’s a restaurant. 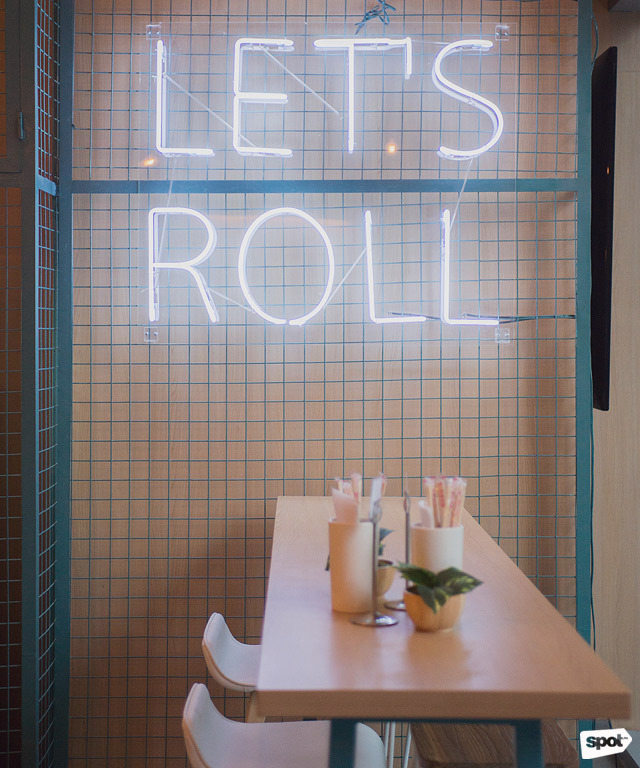 It’s still very fast casual, with people staying 30 minutes, tops.” You'll probably find it hard to leave the place though, with its fun neon signs, floor-to-ceiling windows for natural sunlight, and potted plants on every table—you'll want to put everything on your Instagram feed. 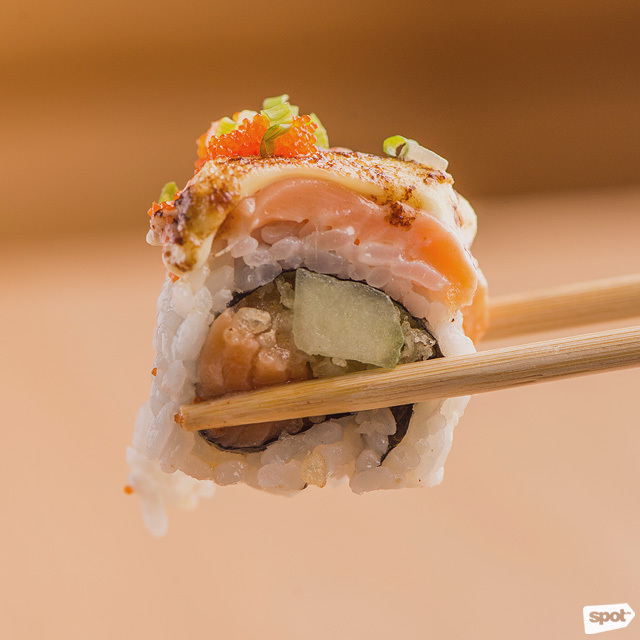 Her experiments have resulted in winners like the Sushi Dreams (P249/sushi, P169/temaki), which looks like your ordinary salmon sushi roll until you get to the rich cream-cheese center. 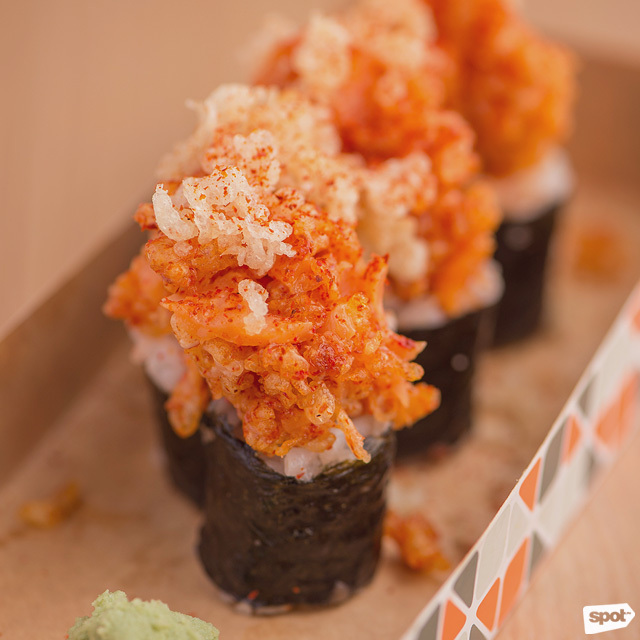 The OMG (P349) blends creamy and crunchy perfectly, with blowtorched salmon on top of a roll of Japanese mayo, tempura flakes, ebiko, and cucumber. If you’re not afraid of heat, have the Fireball (P349). Just as its name suggests, this one starts mild, but packs a spicy punch. Milka has also started playing around with their wide poke bowl menu. 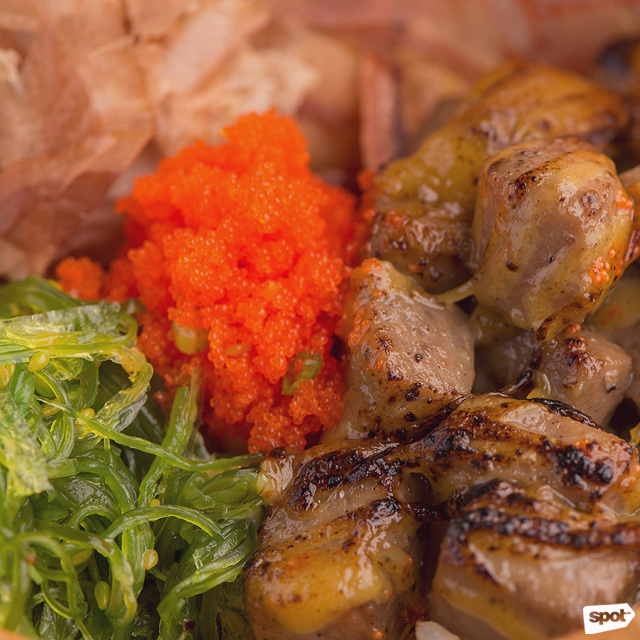 The Wagyu (P369) poke bowl, with Wagyu cubes, wakame, ebiko, and bonito flakes, now comes with an Aburi Blow Torch (add P20) option. Blowtorching brings out a smoky char from the Wagyu cubes and also heightens the flavor of the already lip-smacking sweet-salty aburi sauce. 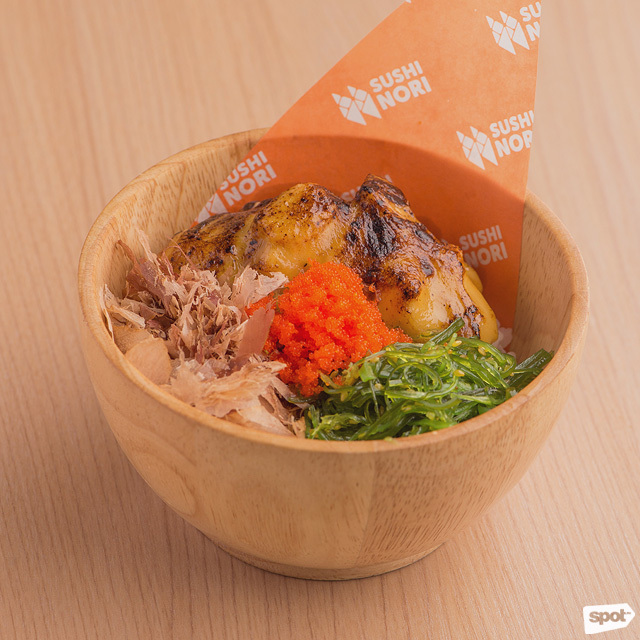 Milka also plans to add donburi selections to the W City branch. 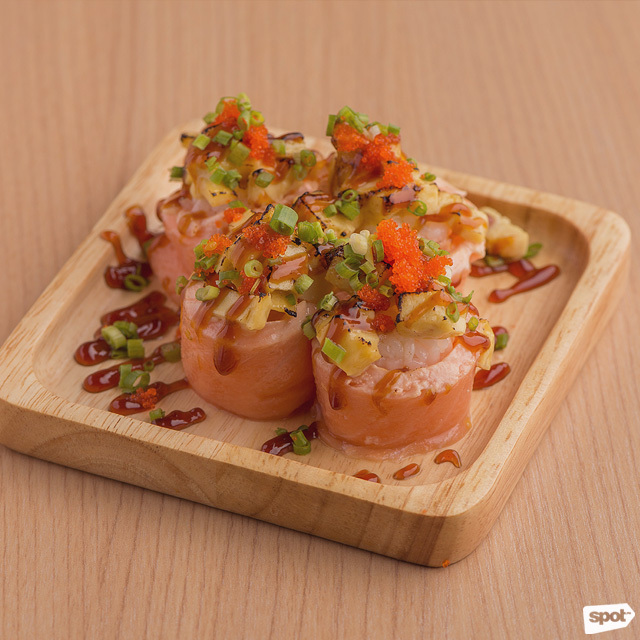 You can also get aburi options from their sushi and temaki menu. 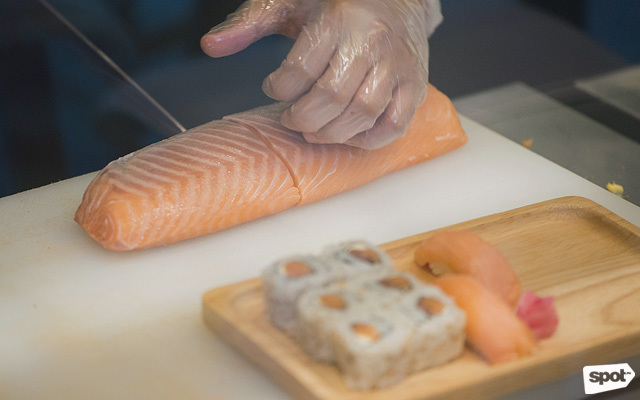 It really doesn’t get more "ultimate" than the Ultimate Aburi (P349/four pieces), which has fresh salmon wrapped around each roll, adding a buttery contrast to the blowtorched salmon, tamago, and ebiko rolls. Want something hefty but quick? 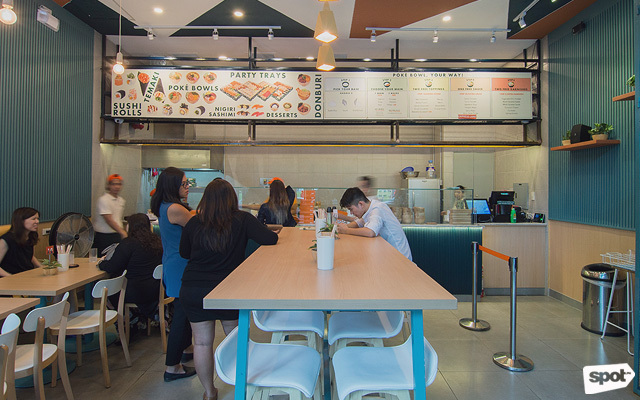 Check out their Bento Boxes, which you can get from an open chiller and pay for at the express lane. 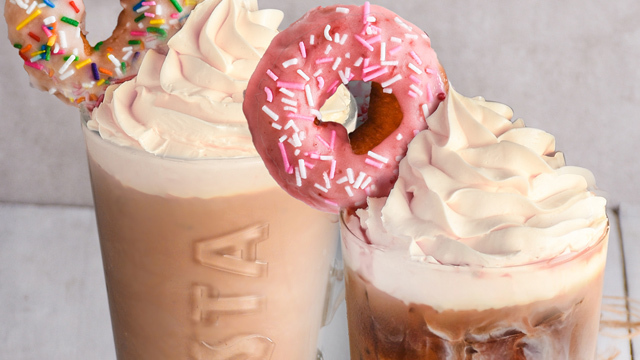 “It’s for when you’re in a hurry, and you don’t want to decide anymore, and you just want something good and filling at the same time,” says Milka. 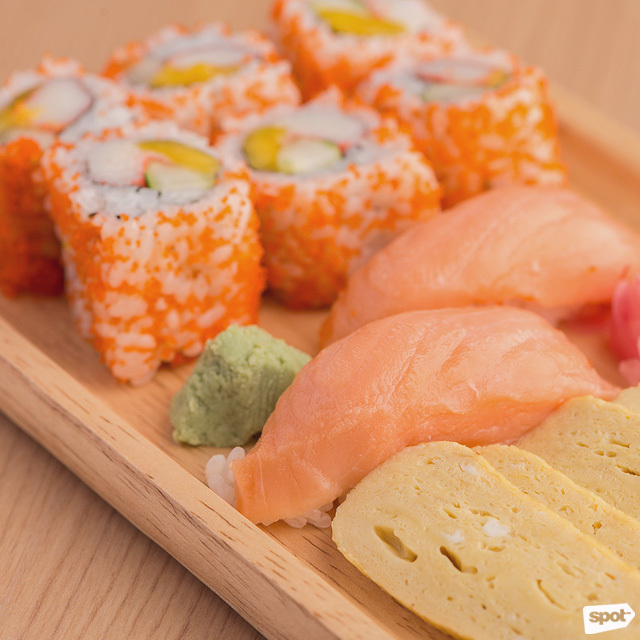 Each Bento Box gets you the best of everything: The Classic Mix (P269) has California Maki, Salmon Sushi, and Tamago Sashimi; the Tuna Overload (P299) has a Spicy Tuna Roll, Tuna Sushi, and Tamago Sashimi; and the Salmon Overload (P369) has a Salmon Cream Cheese Roll, Salmon Sushi, and Salmon Sashimi. 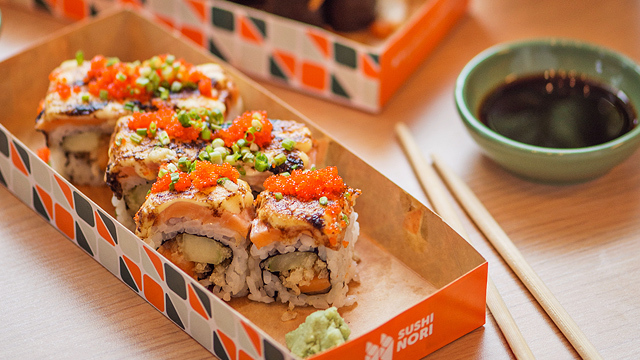 It’s all simple, classic rolls and sashimi, but what sets these trays apart are their freshness, apparent from the very first bite. 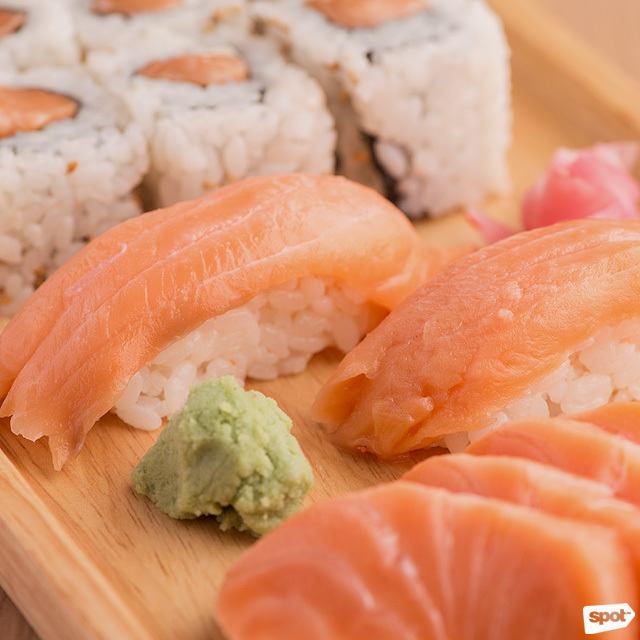 For some people, sushi is either a treat you get every once in a while from a fancy Japanese restaurant, or run-of-the-mill ones you can get quickly from a convenience store. 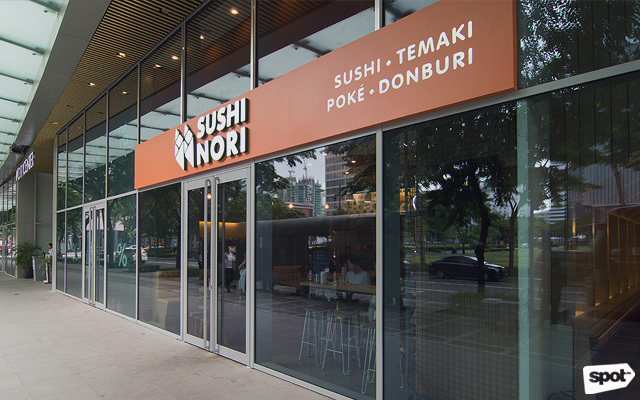 But Sushi Nori is out to prove that you can get sushi on the go, whenever you want, without compromising freshness and flavor.